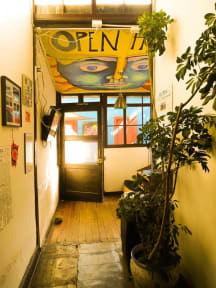 Open Hostel i La Serena, Chile: Bestill nå! We are located in the centre of La Serena, close to restaurants and shops, a stone's throw away from Plaza del Almas and The Archaeological Museum of La Serena and 15 mins from the beach. 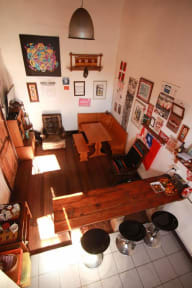 Open Hostel is a perfect base for exploring the nearby areas of Isla Damas and Valle Del Elqui. There are 2 x 6 Bed Dormitories; Twin-Share Room; Double Room. Shared bathrooms. Lockers Available in dormitories. If there is space, you are more than welcome to check-in early. We can also store your luggage.